The development of a UK space flight programme will unlock the potential for hundreds of jobs in the supply chain, according to transport secretary Chris Grayling. The UK Space Agency reckons Scotland is the best place in the UK to reach in-demand satellite orbits with vertically launched rockets. Initial funding of £2.5 million will go to Highlands and Islands Enterprise to develop the site. 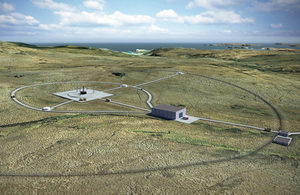 Another £2m is being made available for horizontal spaceport development. Business secretary Greg Clark said: “The UK’s thriving space industry, research community and aerospace supply chain put the UK in a leading position to develop both vertical and horizontal launch sites. Low cost access to space is important for the UK’s space sector which builds more small satellites than any other country. Apparently, Glasgow builds more than any other city in Europe.